A rapturous love story between a mute cleaning lady and an imperiled fish-man emerged as the leading contender for the 90th annual Academy Awards this morning. Guillermo del Toro’s “The Shape of Water” was nominated for 13 Oscars, including best picture, director, actress (Sally Hawkins), and original screenplay. The nine movies nominated for best picture encompassed epics (“Dunkirk”), big-budget period dramas (“Darkest Hour,” “The Post”), smaller independent features (“Lady Bird,” “Call Me By Your Name,” “Phantom Thread”), ambitious genre films (“Get Out”), and works harder to categorize (“The Shape of Water,” “Three Billboards Outside Ebbing, Missouri”). The variety reflected a year in which changing technologies and new generations of creative blood continue to alter the kinds of movies that get made and celebrated. Two first-time directors came away with major laurels. Jordan Peele’s “Get Out” — a socially and racially acute horror comedy-drama that was an early 2017 box office smash — was nominated for best picture, director, actor (Daniel Kaluuya), and original screenplay. Greta Gerwig’s semi-autobiographical coming-of-age comedy “Lady Bird” was honored with nominations for best picture, director, actress (Saoirse Ronan), supporting actress (Laurie Metcalf), and original screenplay. 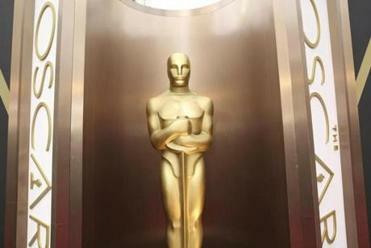 That an African-American filmmaker and a woman writer-director are so well represented in the Oscar race should not go unnoted, given the Motion Picture Academy’s recent push to diversify and rejuvenate an aging membership. In light of the #OscarSoWhite controversies of recent awards years, it seemed like fair progress that the best actor category included two actors of color (Kaluuya and Denzel Washington for “Roman J. Israel, Esq.”), as did the best supporting actress category (Octavia Spencer for “The Shape of Water” and singer Mary J. Blige for “Mudbound”). Here’s the full list of nominees for the 90th annual Academy Awards presented by the Academy of Motion Picture Arts and Sciences. Christopher Nolan’s “Dunkirk” picked up eight nominations, including picture, director, and a strong showing in craft categories like cinematography, editing, score, and production design. “Three Billboards,” a darkly comic drama about a vengeful mother in a small midwestern town, had seven nods, including best picture, director and original screenplay (Martin McDonagh), actress (Frances McDormand), and two supporting actors (Sam Rockwell and Woody Harrelson). Two British-set period dramas were each nominated for six Oscars. “Darkest Hour” seems likely to bring actor Gary Oldman his first Academy Award for his performance as Winston Churchill; it was also nominated for best picture. “Phantom Thread,” a late arrival on the awards scene that voting members seem finally to be catching up with, was nominated for best picture, director (Paul Thomas Anderson), actor (three-time winner Daniel Day-Lewis — his seventh Oscar nomination in what he has said will be his final film role), supporting actress (Lesley Manville) and score (Jonny Greenwood, another talented Hollywood outsider finally crashing the gates). The strong showings by newcomers extended past “Lady Bird” and “Get Out” to include “Call Me by Your Name,” a lush, observant coming-of-age story that was nominated for four Oscars, including picture, actor (22-year-old Timothée Chalamet), adapted screenplay, and song; and the four nominations for “Mudbound,” a riveting racial drama of the post-WWII South that was directed by a woman (Dee Rees — who went unnominated). Nominees for best animated feature included Pixar’s “Coco,” the dazzling art-house entry “Loving Vincent,” the Afghanistan-set “The Breadwinner,” children’s-book classic “Ferdinand” — and “The Boss Baby,” featuring the voice of Alec Baldwin. The foreign language slate is strong with Chile’s “A Fantastic Woman,” Sweden’s “The Square,” Lebanon’s “The Insult,” Russia’s “Loveless,” and Hungary’s “On Body and Soul,” while Israel’s “Foxtrot,” which many expected to be nominated, was shut out. The documentary feature category included Agnes Varda’s “Faces Places” and “Abacus: Small Enough to Jail” from “Hoop Dreams” director Steve James,” but other well-known filmmakers (Fred Wiseman, “Ex Libris”) and subjects (Jane Goodall, “Jane”) didn’t make the cut. Additional movies and performances that some expected to see with more nominations included “The Big Sick” (the arthouse crowd-pleaser picked up one, for the original screenplay by Emily V. Gordon and star Kumail Nanjiani) and the dark skating biopic “I, Tonya,” which was nominated for three: actress (Margot Robbie), supporting actress (Allison Janney), and editing. Academy favorite Tom Hanks went unnominated for his playing of editor Ben Bradlee in “The Post.” Director-star James Franco, recently accused of sexual misconduct, saw his bad-movie labor of love “The Disaster Artist” nominated for best adapted screenplay and nothing else. Martin McDonagh’s “Three Billboards” was nominated for just about everything except best director. “The Florida Project,” a much-admired micro-indie, came away with a single nomination, for Willem Dafoe’s graceful supporting performance. Actor Michael Stuhlbarg did stellar work in three heavily nominated movies —“The Shape of Water,” The Post,” and “Call Me By Your Name” — but was ignored in the supporting actor category. Unlike most recent years, few projects with Boston-area ties were considered awards contenders this time (unless you count “I, Tonya,” which barely treats Nancy Kerrigan as a character). The possible exception was “Stonger,” which failed to collect a single nomination. In general, however, the nominations for the 90th Oscars appear to have been spread widely and evenly around, and the 13 nods for “The Shape of Water” represent a triumph for the Mexican-born Guillermo del Toro, a gifted filmmaking visionary and a true Hollywood maverick. Taken with last year’s best picture win for “Moonlight” and this year’s strong showings by “Get Out” and “Lady Bird,” maybe the Academy actually is changing with the times. But don’t hold your breath.